Unlike UKIP, Souvenir de Louis Spaeth offers desirable, reliable and consistent results. It won't put up posters of very similar looking plants and try to tell you they will act like Japanese Knot Weed and destroy your paradise. If you do happen to have Japanese Knot Weed, maybe show it a picture of Nigel Farage, it seems disappointingly effective in keeping foreign bodies out of the UK. 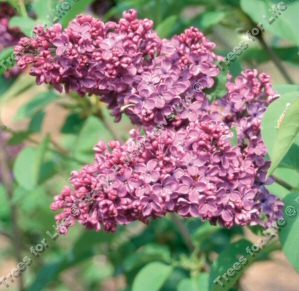 Expect the lilac/purple flowers to make an appearance around May-June time depending on local conditions. By conditions we mean meteorological not political. Not even UKIP could stop our Souvenir de Louis Spaeth from flowering, but we would understand if it wanted to wait until something better came along. So if you do not get great results, check your soil, watering regime and where most people in your area are putting a tick on the ballot paper. Considered to be fully UK hardy so will tolerate a frosty climate. A small height tree / shrub, so expect a height of up to 4 metres (13 foot) after 10 years but could go on to be around 7m tall and the same wide. This tree / shrub is supplied at a height of 50-120cm in a 7-12 litre container for year round planting and better results than from either bare-root or rootballed stock.